Owners, architects and, design engineers expect longer life cycles from buildings. Extended warranties and use of more sustainable materials add up to greater expectations for performance – from structural integrity to the purely aesthetic – of all building components. 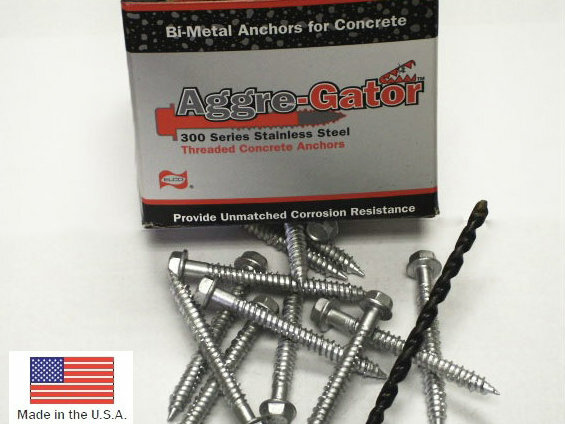 You won’t find a better, easier-to-install or more reliable 300 series stainless steel anchor for your toughest construction applications than Aggre-Gator bi-metal concrete anchors.